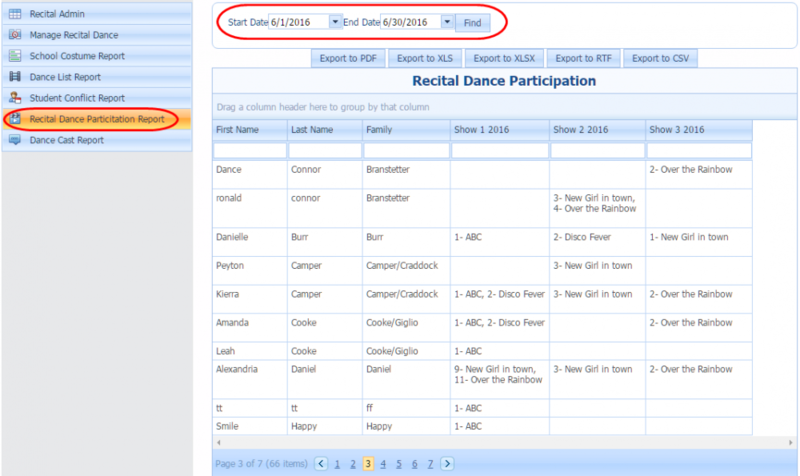 This report will show you each dancers performances across a series of shows (up to 5 shows). At the top Select the date range of the performances you see. The report will show each student, family and the show listing the dances they are participating in and the dance position per show. In the example above the Bransetter family has two dancer siblings slated for different performances.